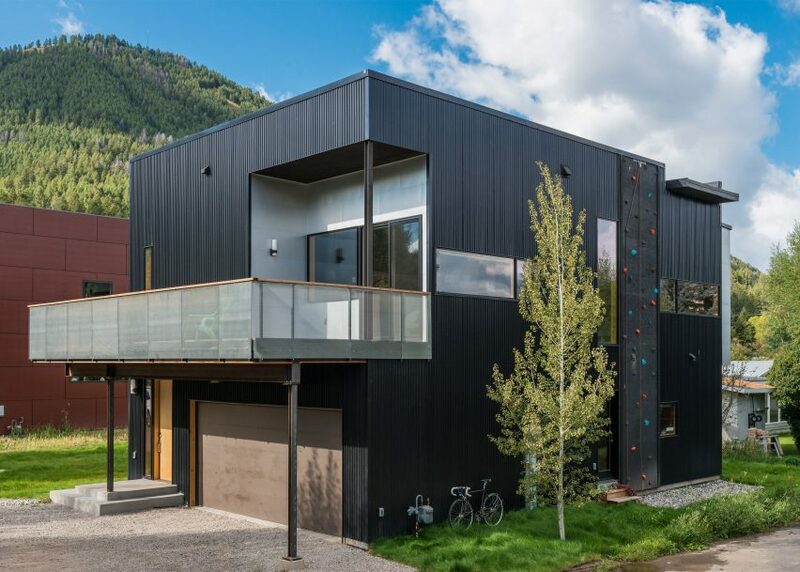 A climbing wall runs up one side of this corrugated metal-clad house in Jackson, Wyoming, by local architecture firm Carney Logan Burke (+ slideshow). 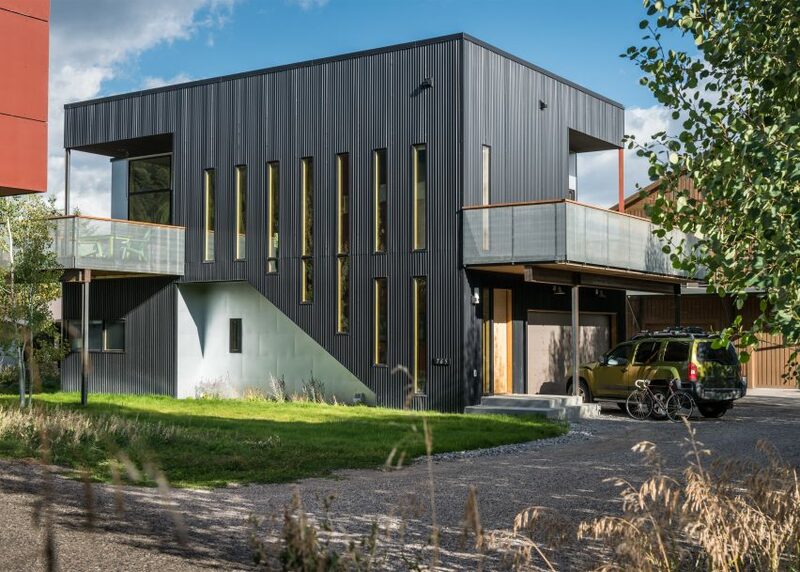 Cache Creek Residence was designed for a long-time resident who wanted a cost-effective, modern house to contrast with the "tired, pedestrian neighbourhood" in the east of the city. 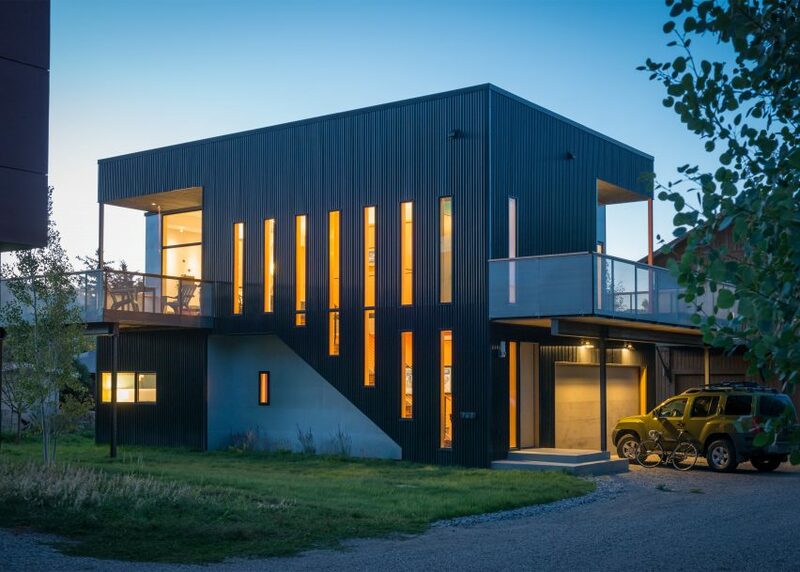 Tasked with making the most of a challenging site, Carney Logan Burke designed a 2,300-square-foot home within a two-storey box. 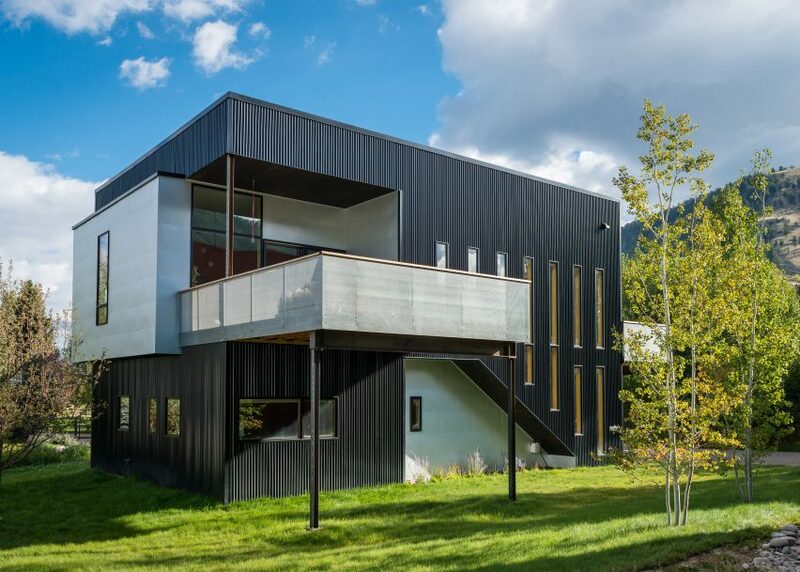 "The site's limited buildable area and the clients' desire for minimal impact on the landscape required a small footprint for the building," said the firm, which has also completed a house organised around a giant boulder and a vacation estate racing the Teton Mountains in its home state. 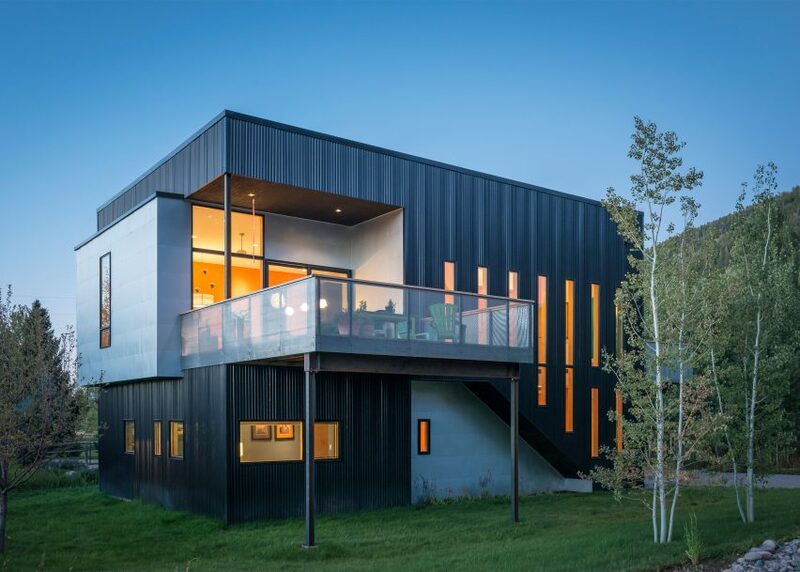 The exterior is predominantly clad in black corrugated metal, chosen for its durability, texture and low cost. Downstairs, two bedrooms and utility rooms are positioned behind a large garage. The master suite is located on the level above, beside an open-plan living, kitchen and dining area. The bedroom and living space open onto separate decked areas to the south and east, which are supported by metal columns and provide views of the nearby Snow King Ski Area. Openings are "carved out of the box form" of the building, while sections clad in galvanised steel also project from the main volume. "The addition of galvanised steel-clad projections enrich the simple form by adding depth and shadow to the elevation," said the architects. 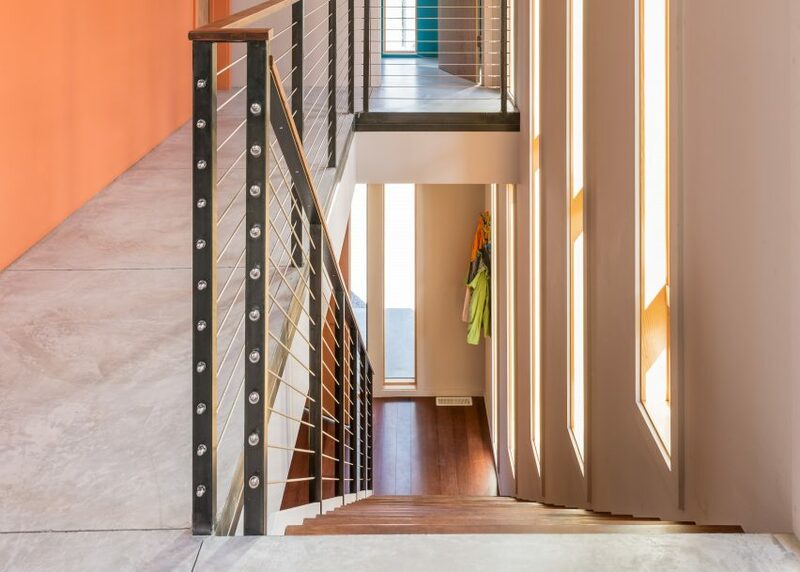 Elements like the internal staircase are also expressed on the outside of the building through changes in depth and material finishes. 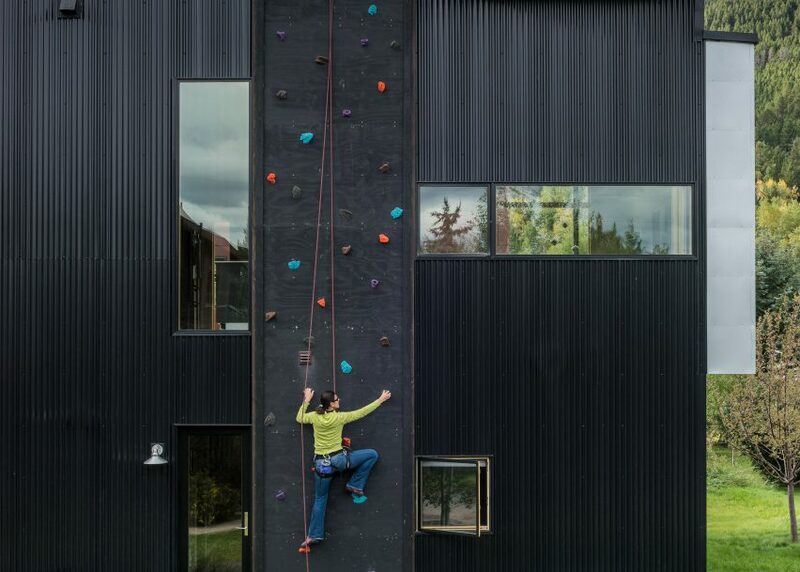 On the north facade, a climbing wall with colourful foot and handholds stretches the height of the building and provides access to the roof. Climbing walls also feature at a Copenhagen community centre recently completed by MVRDV, as well as a few different private residences in Japan. 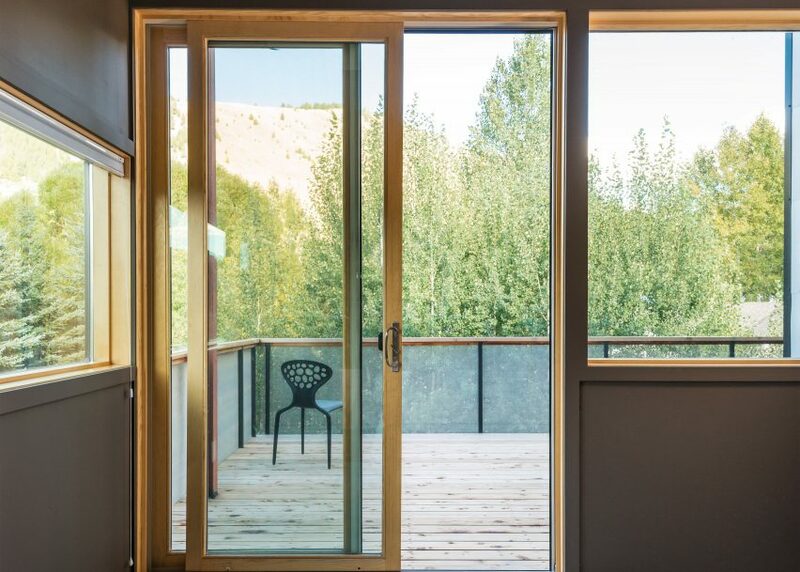 The interiors at Cache Creek Residence benefit from large amounts of glazing and high ceilings. 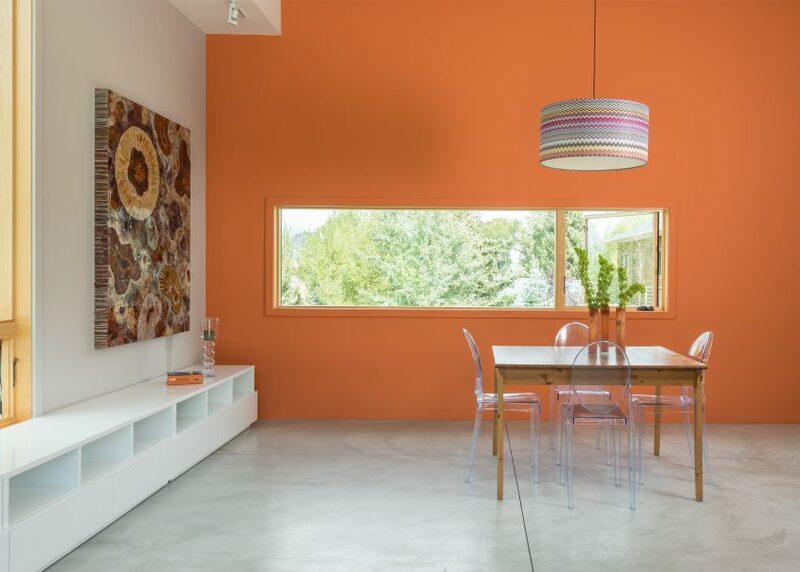 Brightly coloured walls are paired with wood and raw concrete floors. 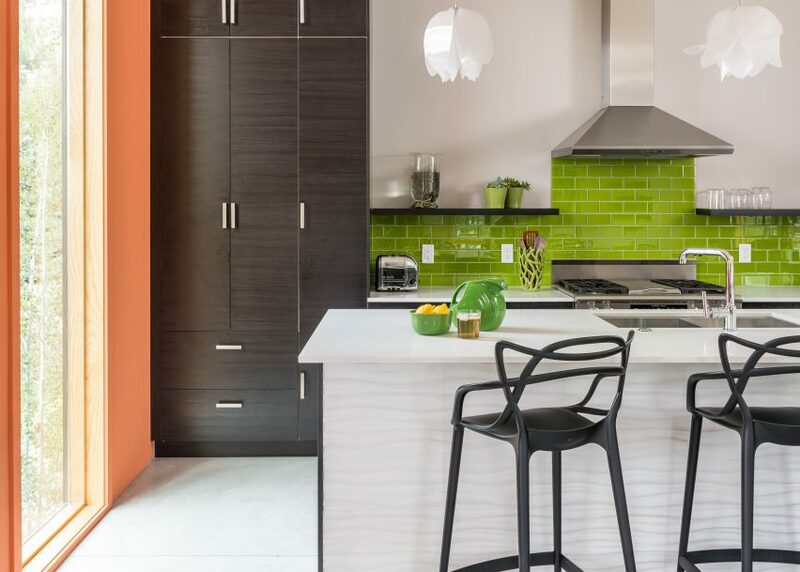 "Economical finish selections let materials speak for themselves: concrete floors, quartz stone countertops and Ikea cabinetry, complete the interior expression," Carney Logan Burke said.